Italian restaurants. These seem to get neglected a lot by me and my choices of where to eat. 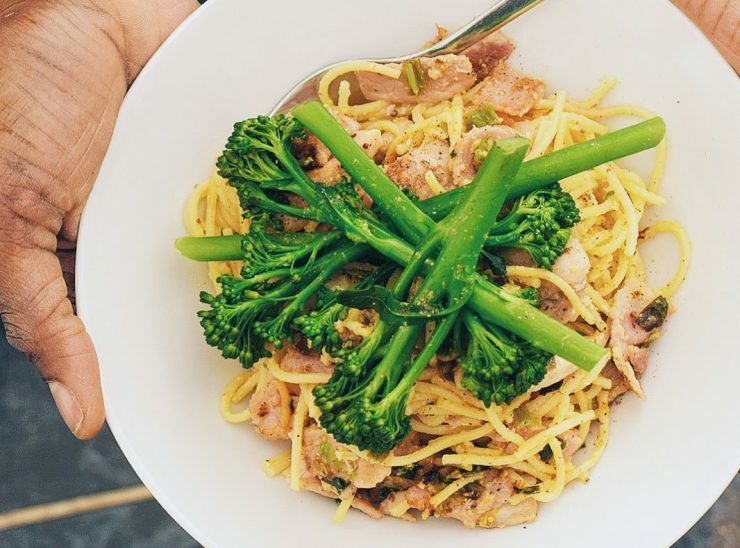 It’s not that I don’t like Italian food, nothing of the sort, it’s more that I make a mean spag bol, creative pasta dish or pizza at home, so don’t always see the point in going out to eat it. That view was however changed last week. 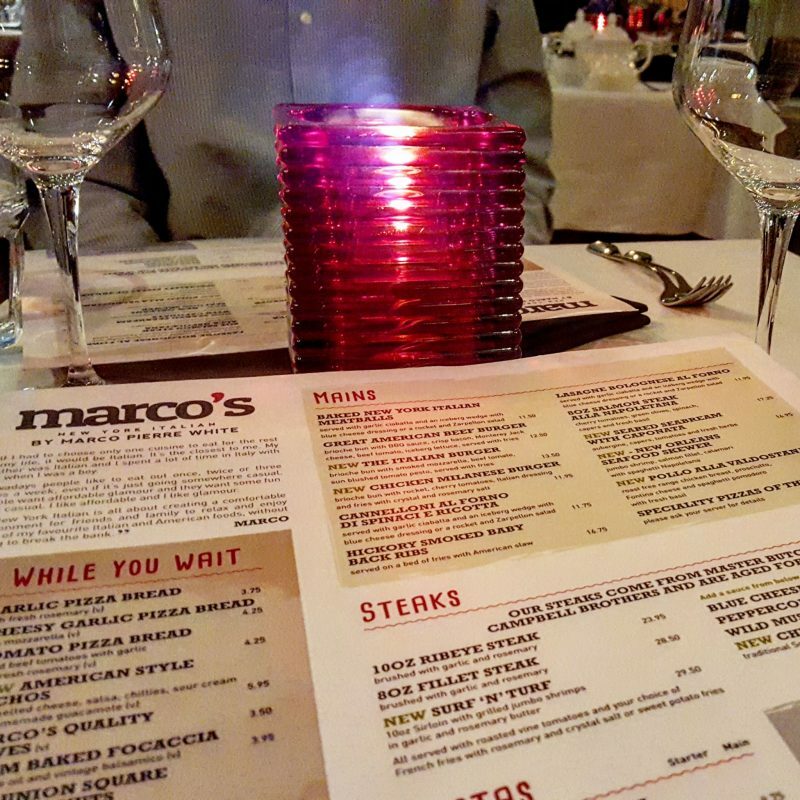 Last week Alex and I had date night at Marco Pierre White’s New York Italian in Bloomsbury. Escaping the sleet and rain, we were welcomed with a friendly hello, were seated through towards the back, and our coats were taken to be hung up – such a little gesture that makes you feel important. Robert, the lovely American team member looking after us for the evening, came over to introduce himself, and after popping off to get us some water for the table gave us his recommendations from the menu – the meatballs hit the spot for any meat lover, if you fancy a fish dish, the seared seabream is the one, and if you’re really hungry be sure to go for the baby back ribs, which also remind him of home. 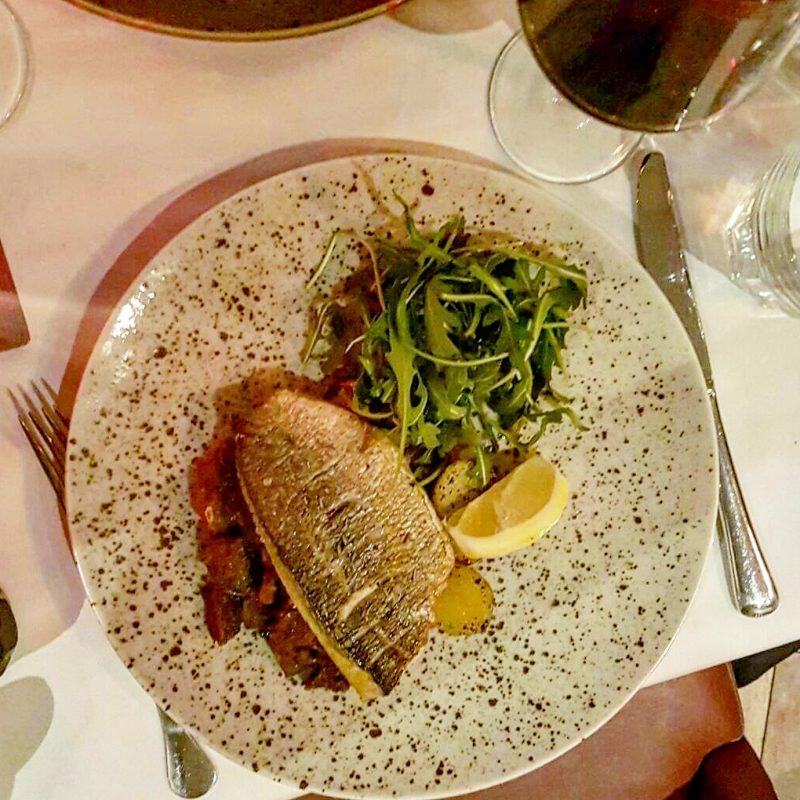 We pondered the menu for a few minutes more whilst warming up – There are plenty of options from fish dishes, to steak, and pasta dishes, with a variety of starters to choose from too. There were so many things I wanted to try, but I finally settled for the New Orlean’s Crab Cakes to start and the Seared Seabream with Caponata for my main. 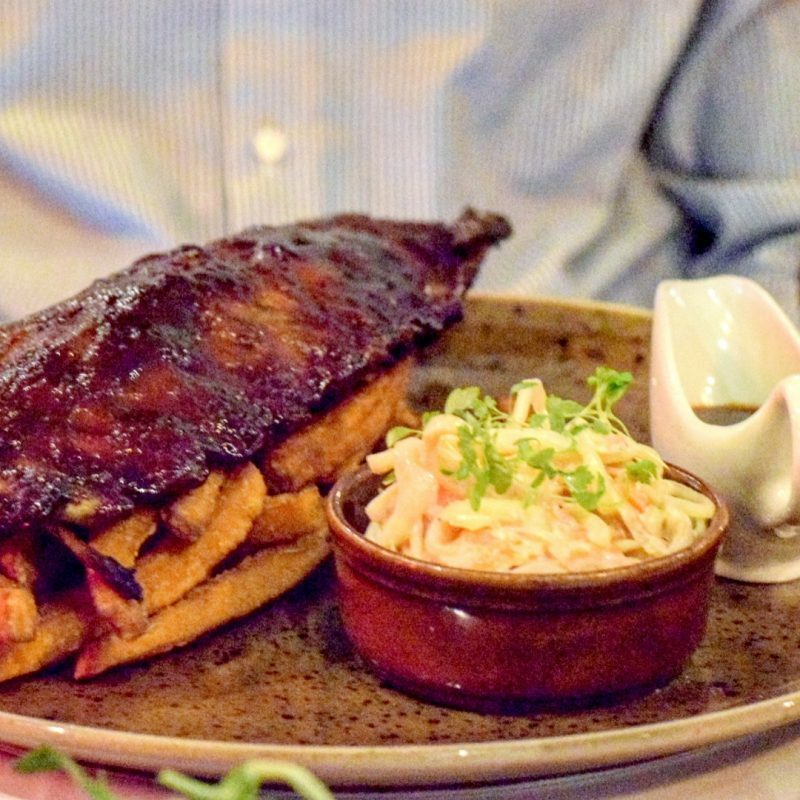 Alex ordered the Crispy New York Buffalo Wings for his starter, followed by the Hickory Smoked Baby Rack Ribs with sweet potato fries instead of normal fries. We also chose a bottle of wine to accompany our dinner – Although white wine is recommended with fish, I really fancied a red (unusual for me! ), so Robert recommended us one of his favourite reds from the list, a light Cabernet Sauvignon. Tasting the wine before Robert kindly filled our glasses, it was delicious. Light and slightly fruity, it was easy drinking and didn’t leave behind a heavy taste in the mouth – I’m not one for full bodied, strong flavoured reds so this was perfect. Alex, who drinks more red than I do, agreed that it was a delicious wine. The Buffalo Wings and Crab Cakes arrived. 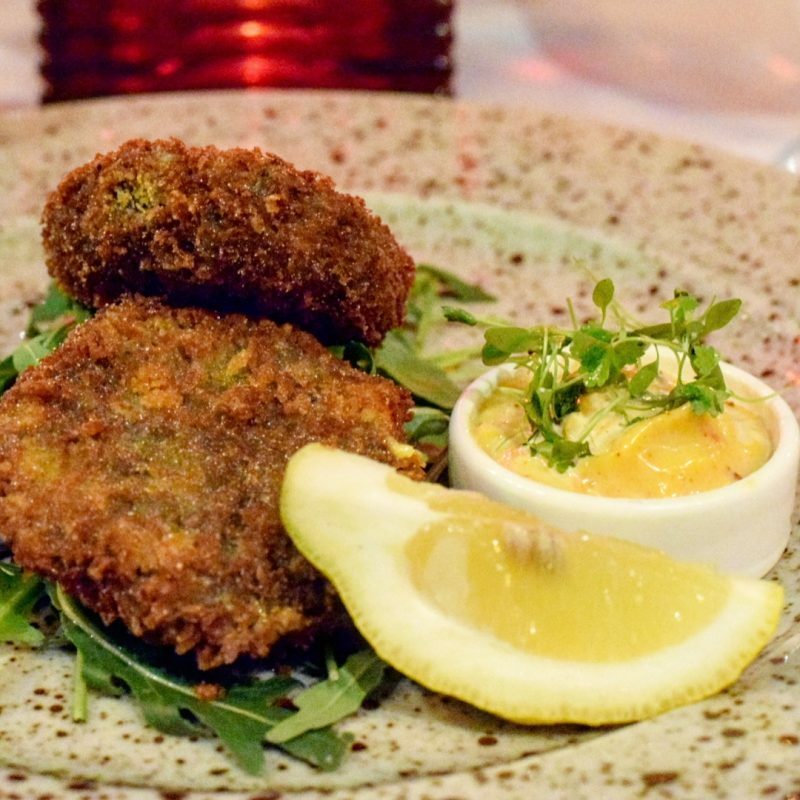 The crab cakes were beautiful – served as two cakes on a bed of rocket, a wedge of lemon, and a rémoulade for dipping. The crab meat inside, light, the tiniest bit salty but not overly fishy, with a light golden breadcrumb. The rémoulade, creamy yet light with a slightly tangy lemon flavour, complimented the crab cakes well, and the rocket wasn’t only good for presentation. I was more than satisfied with my starter. 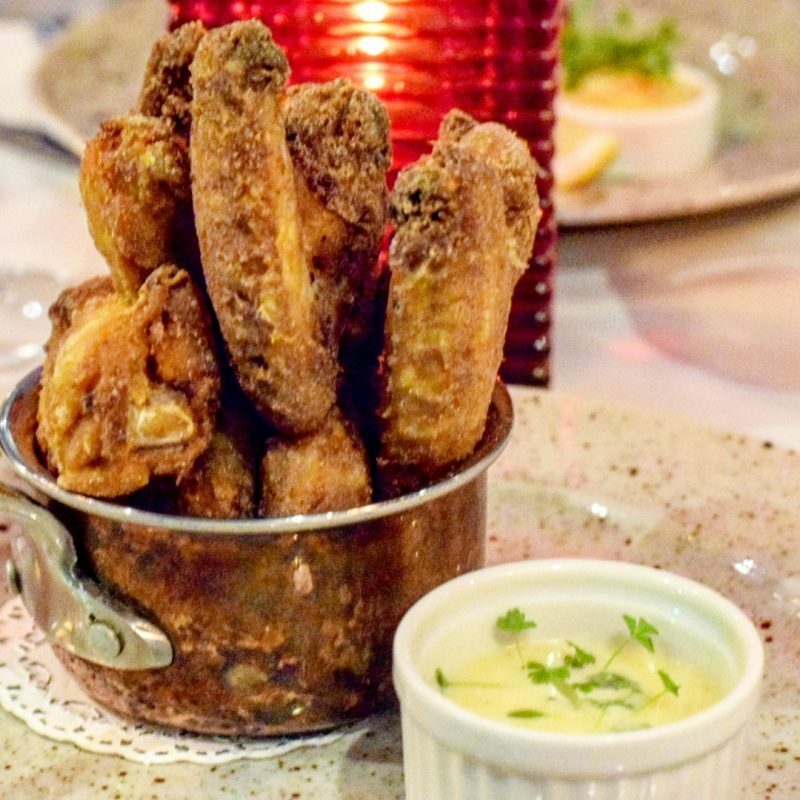 The Crispy New York Buffalo Wings were served with a blue cheese dip. The wings, served as whole wings and not halves like many places currently serve them, had plenty of meat on the bone and were slightly crispy on the outside. I was expecting them to be served like hot Buffalo wings, doused in an bright orange hot Buffalo sauce, but these were more like seasoned rotisserie chicken, but with a crispier skin. The blue cheese sauce was rich and creamy, with the blue cheese tang coming through after. When eaten together, this starter was really tasty! Once our dishes were cleared, we were given the option to have a break or have the mains started right away. Determined to make sure I had space for my main, I asked for our mains to be started – I find that the longer I leave it, the more full I become. Maybe that’s because I fill up on the wine. Mains arrived, with the presentation topping that of the starters. The Baby Back Ribs Alex had chosen came in a generous portion. The rib meat didn’t quite fall of the bone, but it was still pretty tender and really flavoursome. The BBQ sauce the ribs were smothered in was sticky and slightly sweet – apparently that’s exactly how they have it in America, and is perfect for anyone with a sweet tooth. The sweet potato fries were crispy on the outside, fluffy in the middle. Substituted instead of normal fries, these went really well with the BBQ sauce and ribs. The coleslaw, a mix of carrot and cabbage from what I could see, had a nice crunch to it and was lightly covered in a creamy dressing. It had a mild taste and made a good side to the dish. 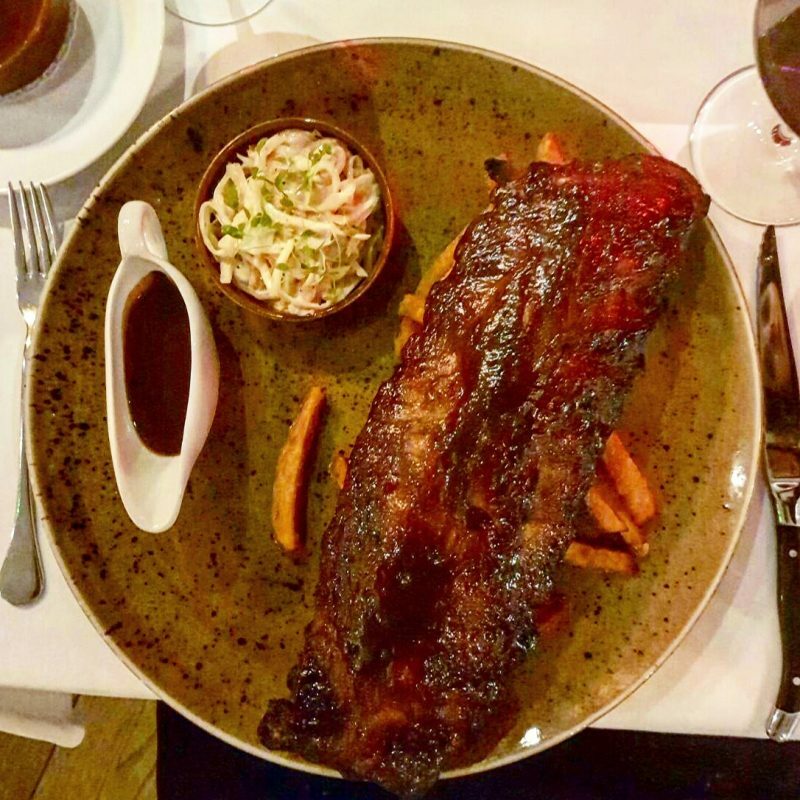 I do really enjoy the combination of rib meat and coleslaw. 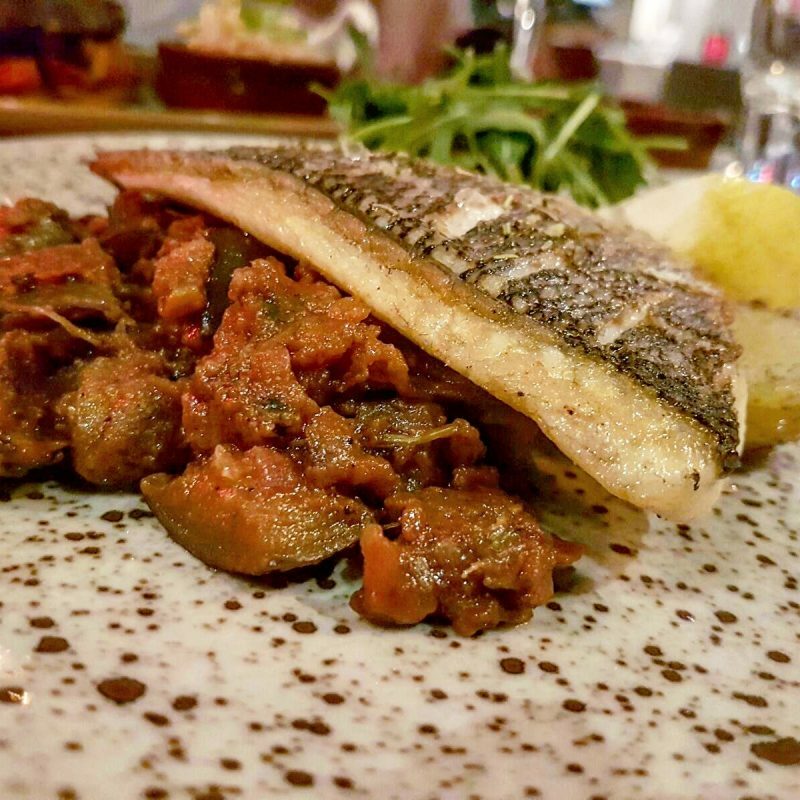 My Seared Seabream with Caponata was on another level. The Seabream, light and flaky with a crispy skin on top, was absolutely delicious. The caponata, a mixture of Mediterranean vegetables in a ragu style sauce, was rich, full of flavour, a good mix of vegetables and went really well with the fish – I was a little surprised how well it went as I thought it might overpower the fish too much, but the combination was seriously good. 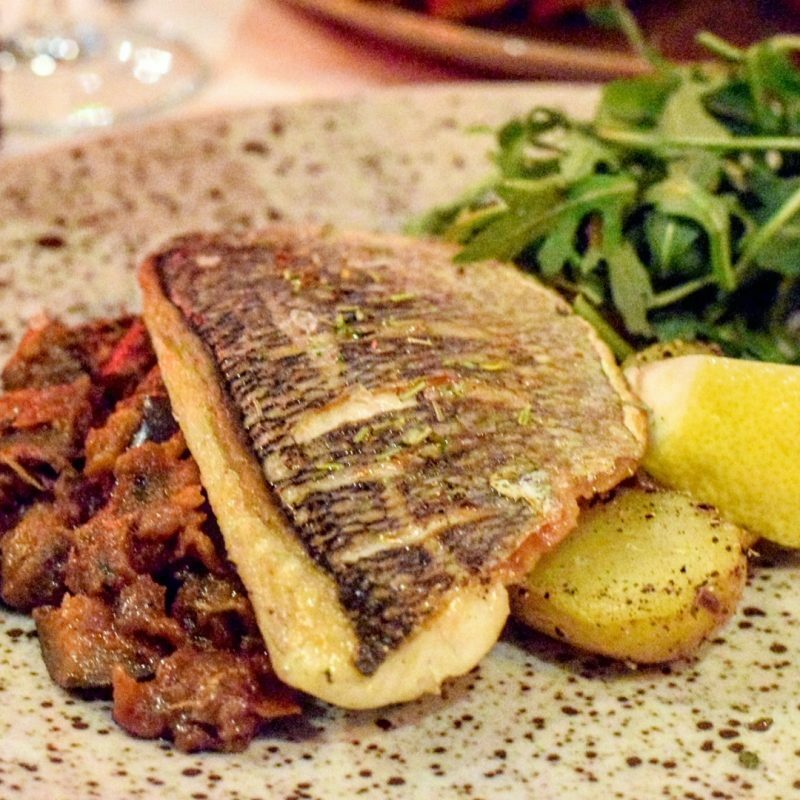 The potatoes were lightly seasoned, slightly crispy on the outside, as though they’d been roasted, and although they weren’t as soft on the inside as I usually serve my potatoes, they were still really tasty, complimenting the fish and caponata well. There was also a good serving of fresh rocket too, which was a great accompaniment. 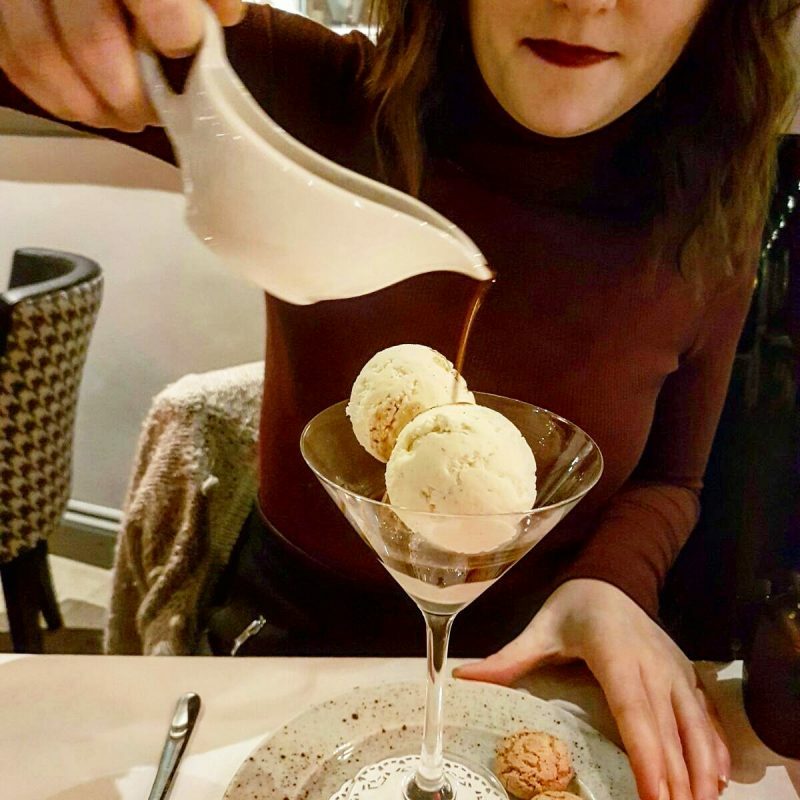 I finished everything on my plate as it was just too good to leave, and Alex almost managed everything on his plate too, leaving a little to save space for dessert, the brownie he’d been eyeing up – he does love a chocolate brownie. Leaving some space between mains and desserts, we continued sipping our wine and catching up before looking over the dessert menu. 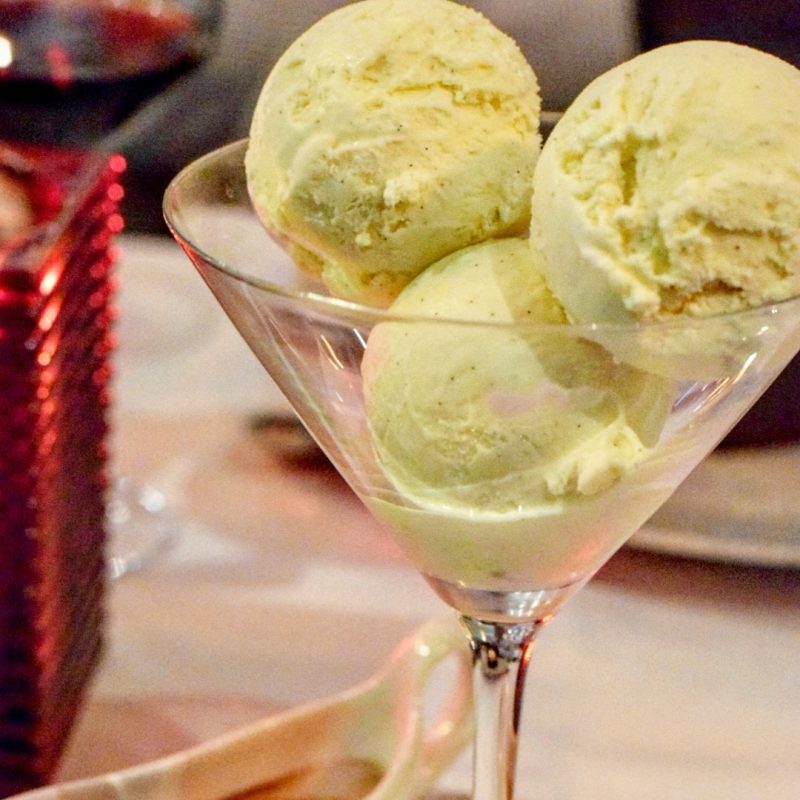 It didn’t take me long to choose the Classic Affogato – what could be better than ice cream and coffee? – and Alex ordered his Chicago Chocolate Brownie. Normally one of the Marco’s team would pour the espresso over the ice cream in front of you, but so I could get a couple photos they let me do it. Aren’t I lucky? The ice cream tasted premium and super creamy, and had a strong vanilla flavour. The espresso, strong, only slightly bitter, melted the ice cream slightly upon running over it. The combination of flavours was amazing, like a luxurious frappe. Two little Amaretti biscuits also sat on the plate, which were enjoyed alongside the dessert. Altogether, highly satisfied – I haven’t had an affogato in a long time! Alex’s brownie was decadent, rich and chocolatey. 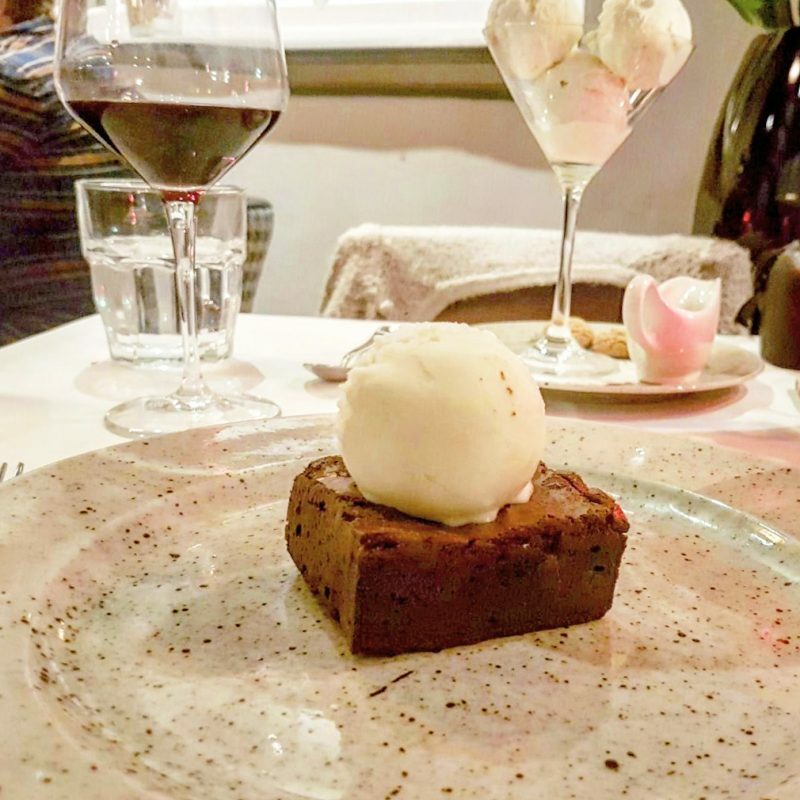 Warm and moist, the indulgent brownie was served with a beautiful milk ice cream which tasted slightly malted. Alex did have a little of my ice cream too – he likes plenty for each mouthful of brownie/cake – and even thought he was getting full, easily finished his whole dessert. I couldn’t help but eat all of mine too. After dessert, we had a shot of Limoncello, an Italian lemon liqueur Alex had never had before! He was surprised how sweet and tangy it was, and it even took me by surprise a little too as I hadn’t had it in a long time. Finishing our wine, we said thank you and goodbye to Robert and Stefan before braving the cold to head home. 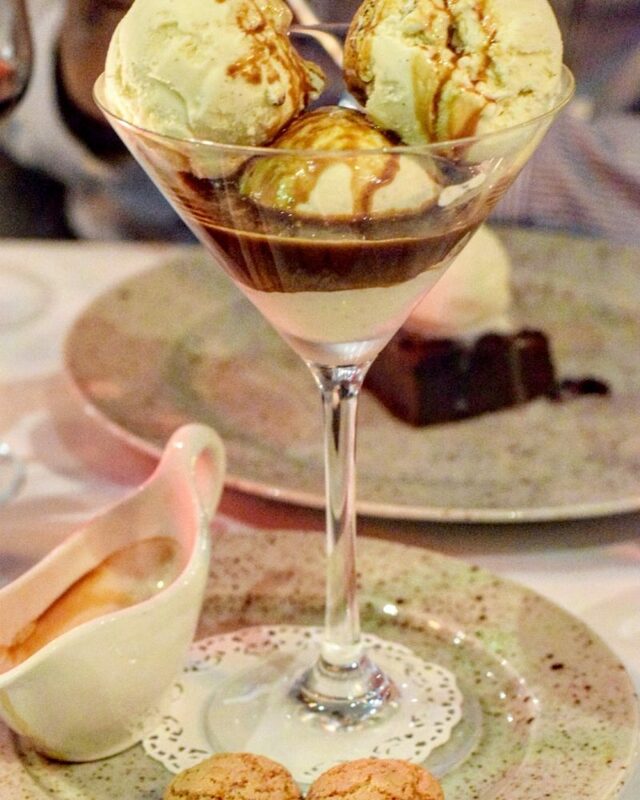 We had an amazing evening at Marco Pierre White’s New York Italian in Bloomsbury. 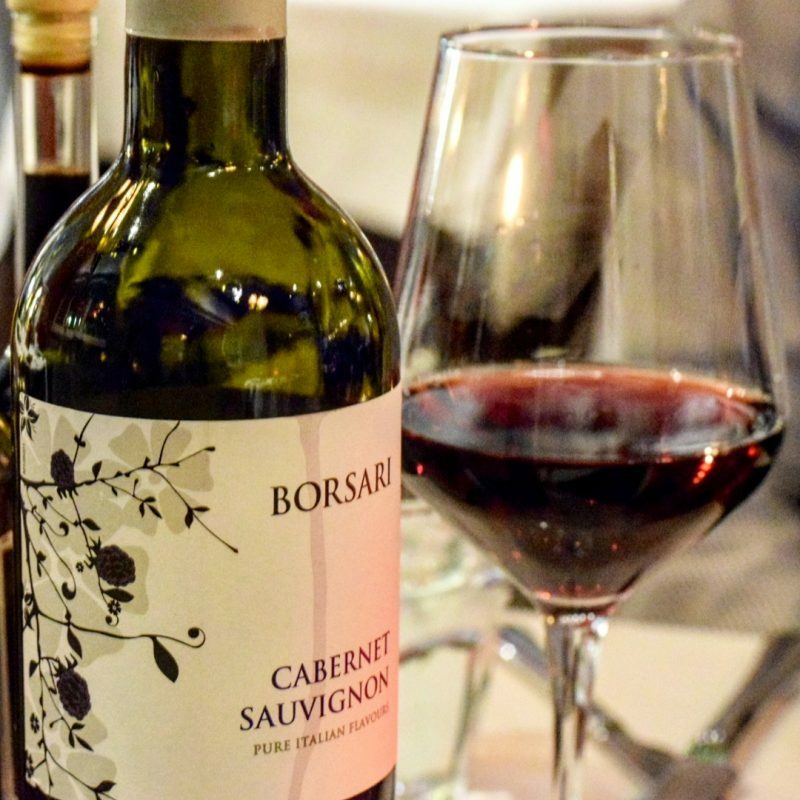 The service, the best I’ve had in a long time, the recommendations were great, the food was super tasty and the bottle of red we had with our meal was delicious. The restaurant itself wasn’t overly noisy, so it was perfect for a nice intimate dinner and catch-up. 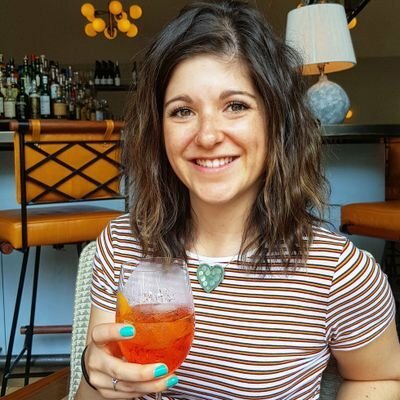 Whether you’re looking for a new spot for a catch-up with friends or a new idea for date night, I’d highly recommend it. I think there’s something for everyone. 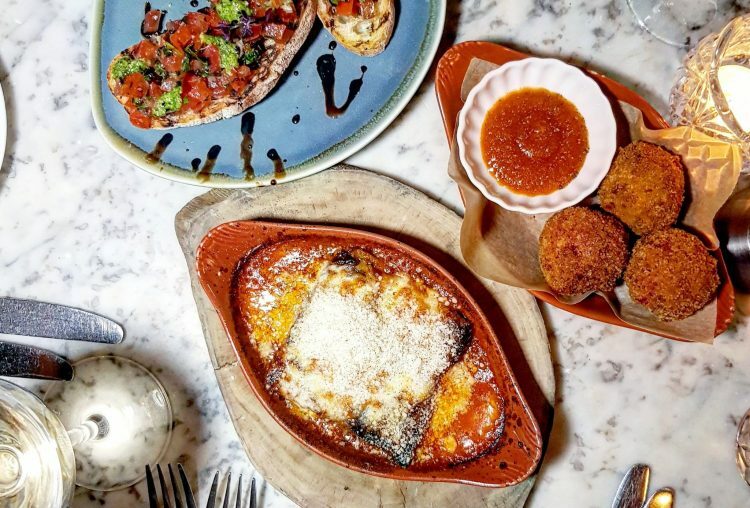 What’s your favourite Italian restaurant? 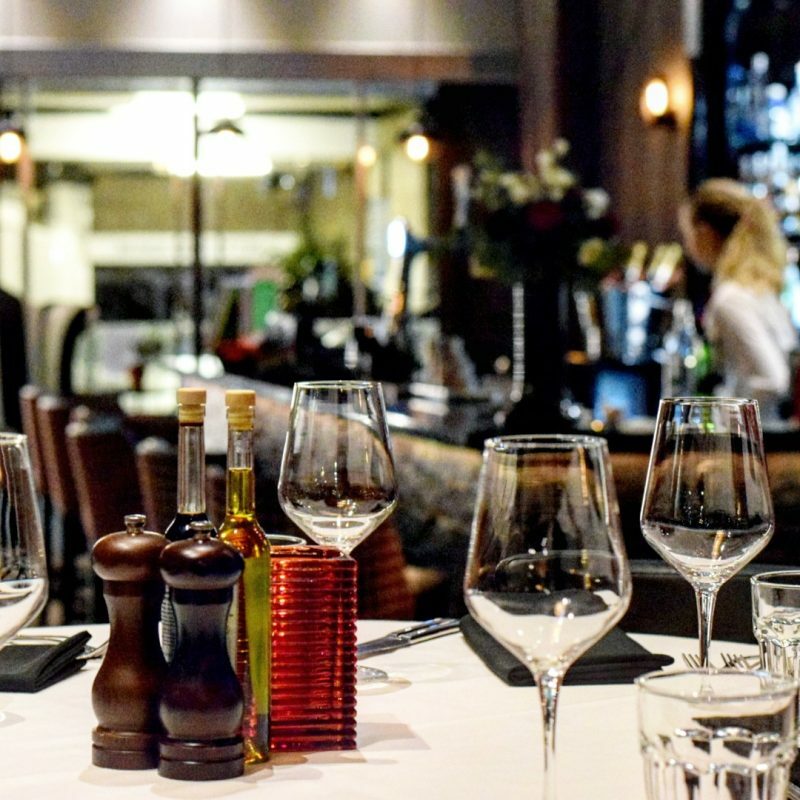 Have you been to Marco Pierre White’s restaurant before? 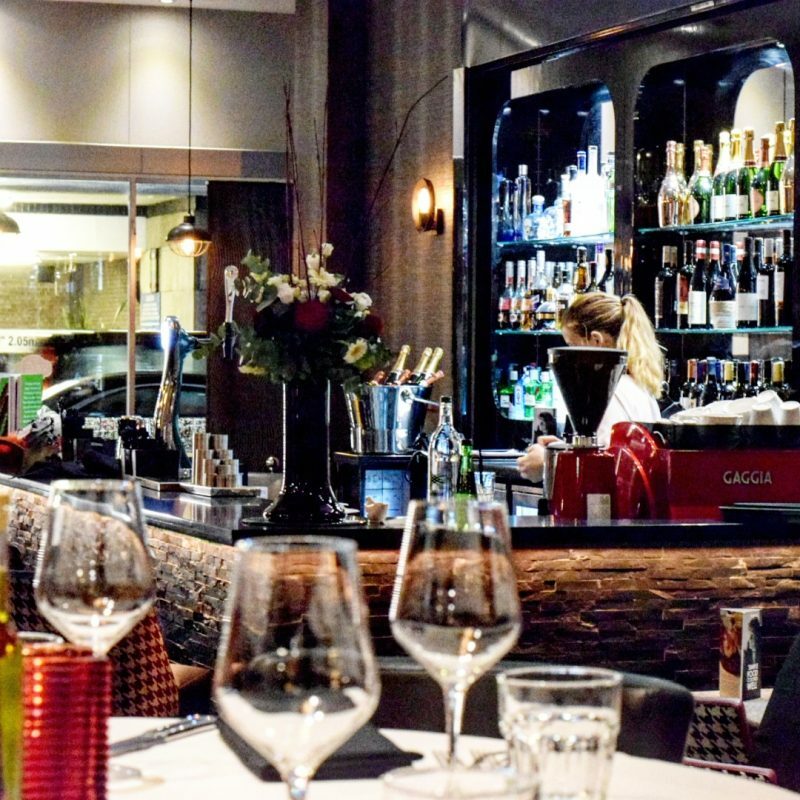 *I was invited to Marco Pierre White’s New York Italian in Bloomsbury to review the menu. All view my own.